A User's Guide to the Stored Communications Act - This article present a user's guide to the SCA, explaining in simple terms the structure and text of the Act so that legislators, courts, academics, and students can understand how it works - and in some cases, how it doesn't work. It goes on to show how Congress needs to amend the SCA and recommends three ways Congress should rethink the SCA to better protect the privacy of stored Internet communications, clarify its protections, and update the statute for the present. By Orrin S. Kerr, George Washington University Law School. Access Now - Defends and extends the digital rights of users at risk around the world. By combining innovative policy, user engagement, and direct technical support, Access Now fights for open and secure communications for all. American Registry for Internet Numbers (ARIN) - Non-profit organization established to administer and register Internet Protocol (IP) numbers. Berkman Center for Internet and Society - A Harvard Law school research program founded to explore cyberspace, share in its study, and help pioneer its development. Copyright Law - Copyright protection, registration, fair use, and database protection. Forms and Contracts - P.T.O. forms, Copyright Office forms, and example contracts. Internet Law - Domain names, linking, framing, and web sites. Legal Links - Large collection of annotated legal links. Patent Law - Patent applications, infringement, and design patents. Primary Sources - Statutes, regulations, treaties, and Patent Office documents. Software Patents - Why software is now patentable, usefulness of software patents, and software patent resources. Trademark Law - Trademark infringment, searching, and applications. Center for Democracy and Technology (CDT) - Promotes democratic values and constitutional liberties in the digital age. Center for Internet and Society (CIS) - Founded in 2000 by Lawrence Lessig, the CIS is a public interest technology law and policy program at Stanford Law School and a part of Law, Science and Technology Program. CIS brings together scholars, academics, legislators, students, programmers, security researchers, and scientists to study the interaction of new technologies and the law and to examine how the synergy between the two can either promote or harm public goods like free speech, innovation, privacy, public commons, diversity, and scientific inquiry. Also see CIS Blog. Defective by Design - A broad-based anti-DRM campaign that is targeting Big Media, unhelpful manufacturers and DRM distributors. The campaign aims to make all manufacturers wary about bringing their DRM-enabled products to market. DRM products have features built-in that restrict what jobs they can do. These products have been intentionally crippled from the users' perspective, and are therefore "defective by design". This campaign will identify these "defective" products, and target them for elimination. Digital Millenium Copyright Act of 1998 [.pdf] - "A complex piece of legislation which makes major changes in U.S. copyright law to address the digitally networked environment. The President is expected to sign the DMCA shortly. This memorandum discusses the law's five titles which: (1) implement the WIPO Internet Treaties; (2) establish safe harbors for online service providers; (3) permit temporary copies of programs during the performance of computer maintenance; (4) make miscellaneous amendments to the Copyright Act, including amendments which facilitate Internet broadcasting; and (5) create sui generis protection for boat hull designs." Digital Millenium Copyright Act Status and Analysis - Digital Millenium Copyright Act analysis, evaluation, and additional resources. Digital Millennium Copyright Act (DMCA) Study - On October 28, 1998, H.R. 2281, the Digital Millennium Copyright Act ("DMCA"), was enacted into law. Section 104 of the DMCA directs the Register of Copyrights and the Assistant Secretary of Commerce for Communications and Information to prepare a report for the Congress examining the effects of the amendments made by title 1 of the Digital Millennium Copyright Act, (DMCA) and the development of electronic commerce on the operation of sections 109 and 117 of title 17, United States Code, and the relationship between existing and emerging technology and the operation of such sections. Domain Name Disputes - BitLaw provides information on disputes over domain names on the Internet. Domain Name Registries Around the World - Arranged alphabetically by two-letter TLD and sorted by country. DRM Watch - A summary of news events that affect the world of content rights management and the Internet. Findlaw Cyberspace - Cyberspace law resources, journals, law and government documents, agencies, mailing lists, news. igoldrush - A site dedicated to providing news and information about domain names. Includes Domain Guide. Internet Assigned Numbers Authority (IANA) - Non-profit corporation formed to assume responsibility for IP address space allocation, protocol parameter assignment, domain name system management, and root server system management functions. Internet Corporation for Assigned Names and Numbers (ICANN) - ICANN is the non-profit corporation formed to take over responsibility for IP address space allocation, protocol parameter assignment, domain name system management, and root server system management functions now performed under U.S. Government contract by IANA and other entities. Internet Jurisdiction - Background documents to an ABA project is committed to describing current law from various national perspectives in a number of substantive legal areas, considering policy implications raised by these laws, and developing suggestions for changes. Internet Law and Policy Forum - Promoting a better understanding of legal issues arising from the cross border nature of the Internet. Internet Library of Law and Court Decisions - Features extensive summaries of over 600 court decisions shaping the law of the web; providing facts, analysis and pertinent quotes from cases of interest to those involved in New Media addressing copyright, trademark, dilution and other intellectual property issues, jurisdiction, linking, framing, meta tags, clip-art, defamation, domain name, e-mail, encryption, gambling, click-wrap agreements, shrink-wrap licenses, spamming and other subjects. Internet Society (ISOC) - A a professional membership society with more than 150 organization and 16,000 individual members in over 180 countries. It provides leadership in addressing issues that confront the future of the Internet, and is the organization home for the groups responsible for Internet infrastructure standards, including the Internet Engineering Task Force (IETF) and the Internet Architecture Board (IAB). InterNIC - Information regarding Internet domain name registration services, including the InterNIC FAQs. Journal of Internet Law - A monthly publication that provides practical analysis of the legal issues and business developments brought about by the emerging online systems and computer networks. Journal of Technology Law and Policy - University of Florida Levin College of Law publication focusing on the legal and policy aspects of technology issues. 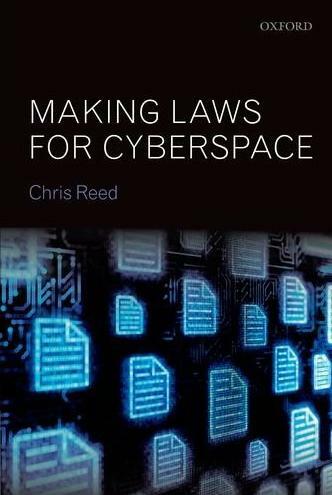 Learning Cyberlaw in Cyberspace - This site provides reading materials for students studying the law as it applies to activities in cyberspace. The reading materials include edited cases, statutes, treaties, and law review articles, as well as content written by the individual module authors. Linking Policies for Public Web Sites - Information prepared by Shirl Kennedy, a librarian by training and Web Guide Manager for eCompany Now, Time, Inc.'s e-business publication. Public Knowledge - Ensuring that U.S. intellectual property law and policy reflect the "cultural bargain" intended by the framers of the constitution: providing an incentive to creators and innovators while benefiting the public through the free flow of information and ideas. Public Knowledge is a new public-interest advocacy organization dedicated to fortifying and defending a vibrant information commons. This Washington, D.C. based group works with wide spectrum of stakeholders - libraries, educators, scientists, artists, musicians, journalists, consumers, software programmers, civic groups and enlightened businesses - to promote the core conviction that some fundamental democratic principles and cultural values - openness, access, and the capacity to create and compete - must be given new embodiment in the digital age. Spam Laws - Compilation of laws related to unsolicited bulk and commercial e-mail ("spam") in the United States, European Union and other countries. TechnoLlama - Covers several cyberlaw topics, with emphasis on open licensing, digital rights, software protection, virtual worlds, and llamas. Technology and Liberty - ACLU's Project on Speech, Privacy, and Technology monitors the interplay between cutting-edge technology and civil liberties, actively promoting responsible uses of technology that enhance privacy protection, while opposing those that undermine our freedoms and move us closer to a surveillance society. Trademarks on the Internet - BitLaw provides informati on trademark infringement claims and lawsuits involving the Internet. Uniform Computer Information Transactions Act (UCITA) - A U.S. uniform commercial code for software licenses and other computer information transactions. USDOJ Computer Crime and and Intellectual Property Section (CCIPS) - Computer Crime Policy and Programs, Computer Crime Cases, Computer Crime Laws and Statutes,Computer Crime Documents, Computer Crime Guidance. Website Legal Issues - BitLaw discusses the legal issues involved with the creation of a web site. This webpage last updated on Monday, August 21, 2017 9:29 AM.